The top two from last year meet early on in the 2015 campaign as Warwickshire travel north to Leeds in the third week of the season. Yorkshire were runaway winners of the Championship last season and will be looking to land a blow to a side who look set to challenge them strongly again this season. Warwickshire didn’t get off to the best start last season so will be looking to fire from the off this time around. Yorkshire won this match by an innings and 155 runs last season with Joe Root making 69 for the home side but with England touring the West Indies during this game Yorkshire are likely to be without a number of key players which may give the Bears some hope. With Lancashire being relegated to Division Two and the two teams not being drawn in the same group in the Royal London One-Day Cup, the only time there will be Roses clashes this year will be in the NatWest T20 Blast and the first of those matches comes along fairly early in the competition at Headingley on the 5th June. Lancashire were beaten finalists last year while Yorkshire suffered that fate in 2012 so both sides have plenty of potential in this format now which should make for another exciting Roses match in front of what is likely to be a big crowd in Leeds. Last year’s two promoted sides meet for the second time in the middle of the season and with the break for the Royal London One-Day Cup not far away, this could be a vital match in the quest for survival. A slight gulf between Division One and Division Two is just starting to form and these two will be out to show that they can bridge that gap over the course of the season. With The Ashes beginning later in the week both sides could be missing one or two key players which will Test out the squads of both counties and even though this match is pretty much in the middle of the campaign you get the feeling whoever loses this one could struggle to survive in amongst the elite. One of the highlights of the 2014 season was how the race for the quarter-final spots in the Royal London One-Day Cup went down to the last week of round robin matches and if that is repeated in 2015, which it very well could do, then this match looks a stand-out game in the fixture list. Nottinghamshire won the longer format one day competition two years ago and were only seen off in the semi-finals last year. 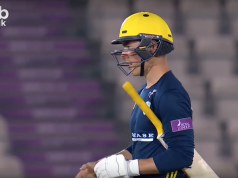 Hampshire have won a number of one day titles since the turn of the decade and will undoubtedly be eyeing another one up here. This is the final group game for both sides so both may need a win to keep their title hopes alive which should guarantee a high quality contest. Two sides who will feel they are too big to be in the second tier meet in the penultimate week of the campaign with promotion places highly likely to be up for grabs. With the international summer having drawn to an end both sides could well have their stars available which will add to what looks a fascinating contest on paper. Ashley Giles will be aiming to guide Lancashire back to the big time at the first opportunity in his first season as coach while Graham Ford will be looking to revive Surrey after a dismal couple of years in the longest format of the game. With the players these two sides have and the importance that this match could carry this looks like one of the most important fixtures of the season in the lower tier.